Gambian President Adama Barrow Friday received in audience the newly-appointed Police Chief Mamour Jobe in his office at State House in Banjul. During the meeting with the new Inspector General of Police (IGP) Mamour Jobe and the high command of the Gambia Police Force Barrow advised Gambians to be law abiding always. “I used the opportunity to encourage the public to follow due procedures and processes as spelled out according to law. No one should take the law into their own hands,” he said. Barrow’s meeting with the police chiefs came in the wake of security sector reform geared towards ensuring effective and accountable security for the Gambia in line with democratic governance practices. 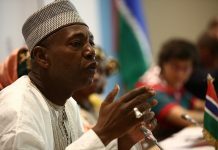 “The police force is an integral part of my reform agenda and I recognize the prominent and noble role that they play to provide and maintain national security,” the Gambian leader reiterated. IGP Jobe who was former deputy police chief was recently appointed after the resignation of Landing Kinteh as the police chief over the deadly shooting of some villagers in Faraba by members of the police force. 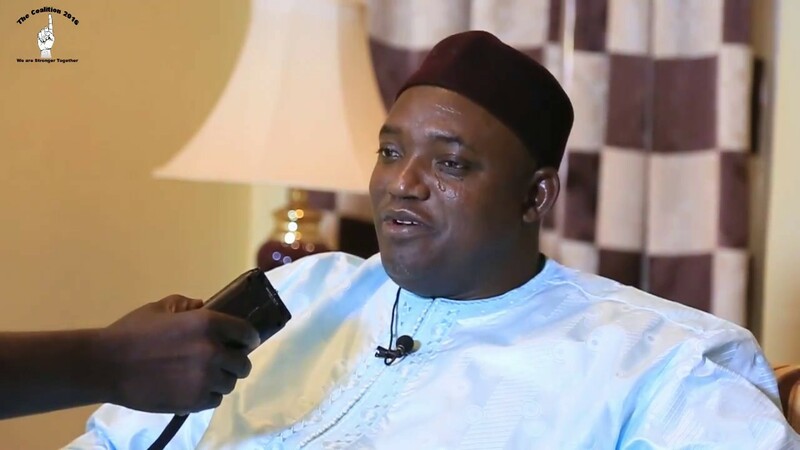 Meanwhile, according to State House sources, President Barrow will today embark on a nationwide tour of the country to dialogue with Gambians on a variety of pertinent issues. The duration of the tour is ten days and will begin on Monday July 16th and end on Wednesday, June 25th 2018. During the period, the president will chair 44 general meetings and spot visits throughout the country. He will connect and engage firsthand with the members of the public on the government’s development blueprint – the National Development Plan, particularly the president’s priority areas. “As the rains have begun, agricultural programs geared towards food security, mechanized agriculture for local consumption and targeted exports will be discussed with farmers,” the presidency announced recently.